With his record “Suh Different” still gaining mainstream attention, Nigerian reggae-dancehall singer, Patoranking adds a new song to his discography titled “Heal D World” which has the same title with Michael Jackson’s number from his eighth studio album, Dangerous, though the feel is different. 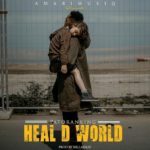 Patoranking tries to make a change as he premieres this his new song titled “Heal D World” which is produced by Killashay.On this number, the dance hall singer encourages world peace as he sings about the daily ills and the wars already engulfed in the world. 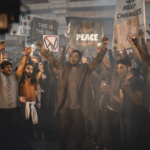 Patoranking takes a bold step on this number encouraging us all to dwell in unity. Get a feel below as we anticipate the video set to premiere soon. 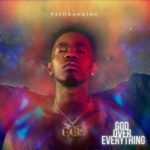 “[Song] Patoranking – “Heal D World””, 5 out of 5 based on 1 ratings. Heal The World Was Written In 2015 – Pantoranking Reveals. Well cooked! 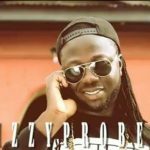 E don done! Taken already…it’s dope love Pato! Pato always giving us the real thing? Good job. I heard it I feel togetherness…. This is not just any other song…..
Not just any other song….. Easily the song of the year…. He’s my boss up there..
the reai king. spread love and heal the world. best song of the year. Hello my guy gud job. Hello my guy ,gud job. Heal d world, Great message bos? A very nice piece! Thumbs up Patorankin. my favourite, is a good one keep it up. Nice song to listen to. Patoranking, nice one. guy keep it up, you are up- to the task tell them sthing heal d world. I love this song so much pato,pato heart u so much????? 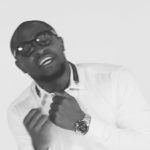 Best song of the year… #love it like no man’s business??? sweet song that really touch the heart, I really love it so much.